What is a Madder Tie or Ancient Madder Tie? Madder ties are a phenomenon in modern mens fashion. 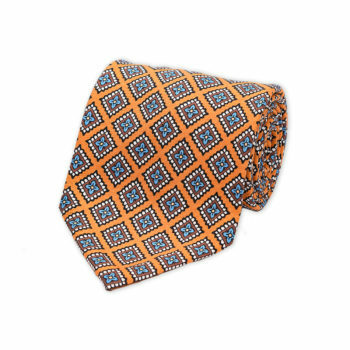 They are considered a must have accessories for a well dress gentleman, similarly to a tweed jacket, during the autumn and winter period. The basic characteristics are the mute mat colors and their soft chalk like touch. The name Madder comes from the common name of the plant Madder, scientifically named Rubia tinctorum. Madder plant has been treated and then used as a natural dye of fabrics and even leather. The most popular madder color is Red. Madders use for natural dye has been identified at ancient civilizations as far back as 1500 BC. Madder dyed fabrics have been found in Egyptian and Greek tombs. In the 19th century it was discovered that the coloring factor in the plant was Alizarin. The discovery of Alizarin led to its chemical duplication and therefore the large scale use of the dye for the textile industry. For the Madder dye to have a lasting effect on the silk fabric one more ingredient is used, that of Gum Arabic. Gum Arabic is a natural glue extracted from the Acacia tree. it acts as a bonding agent for colors. The process of creating a Madder dyed fabric starts by removing the natural organic glue of the silk that will be dyed. The silk fabric is then colored with the Madder dye. In the final stage the colored fabric is sunk in a mixture based on Gum Arabic to bond the madder dye with the silk. The weave used for a Madder tie is that of Twill in various weights. Optically a madder tie is known for its mute and mate colors, which are mainly deep red, deep green, chocolate and lighter blues and yellows. The touch of a madder tie is very soft, like chalk powder or a very thin suede. The dark winter colors of the Madder dye and their mate finish of the fabric, make the Madder tie ideal for autumn and winter combinations with tweed and corduroy fabrics. What are Ancient Madder Ties? 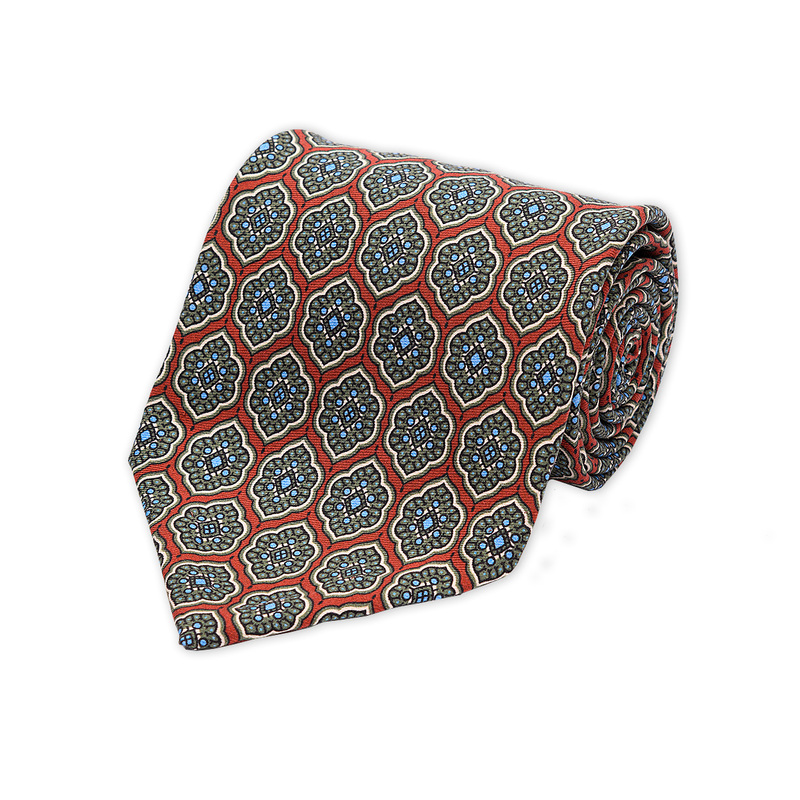 Madder Ties are sometimes erroneously called Ancient Madders for commercial reasons. Some tie traders try to justify the word Ancient due to the patterns of the design. Others have claimed, and revealed to be fake, that their silks have been very old and that have been dyed the traditional way, something very rare, but not impossible. Authentic handmade Madder ties come for the first time in Greece solely by the house of KYDOS.